EXETER – Drones are still new in terms of pretty much everything. Their uses range from aerial photography to policing perimeters. But they can also be used to spray crops, check trees, and monitor acres of land so farmers don’t have to. And this week is the opportunity to learn about drones and all the other things they can do for ag, with a live demonstration. Tulare County Library is welcoming kids and parents of all ages to see Exeter Hobbies teach about the agricultural uses of drones in an exciting MakerSpace presentation on Friday, Aug. 10 from 5 to 6 p.m. at the Exeter Branch Library. This activity and drone demonstration is open to all ages. No registration is required for the free event. This activity serves as one of the prototypes and tests for MakerSpaces. Exeter Branch Library was selected as one of 10 pilot library branches in California for the 2018 Developing Library MakerSpaces projects, a joint venture with the California State Library and the Center for Childhood Creativity at the Bay Area Discovery Museum. MakerSpaces provide hands-on, creative ways to encourage students to design, experiment, build and invent as they deeply engage in science and engineering. As a pilot project, the hope is to determine key ingredients for success in building, running, and sustaining successful makerSpaces that can assist our own library system as well as all interested libraries throughout the state. 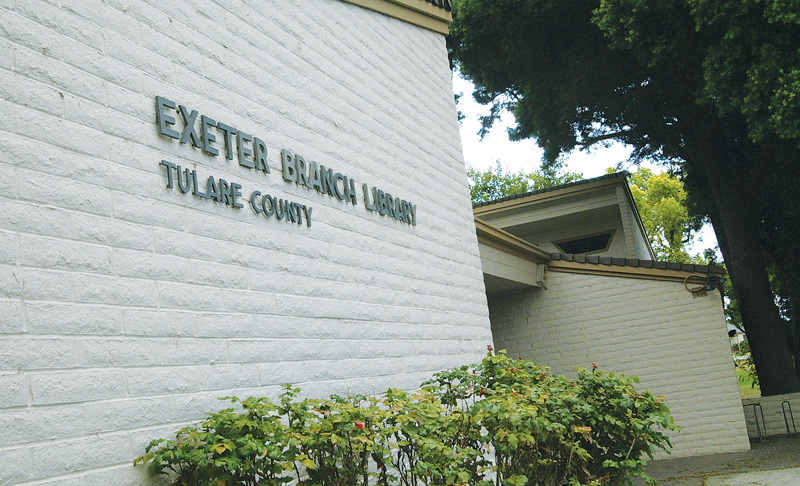 This two-year project allows for the Tulare County Library Foundation to receive funding for the Library’s initial start-up costs. For additional information about this program, please call the Exeter Branch at 559-592-5361 or visit us at 230 E. Chestnut in Exeter.